We spend a lot of time thinking about food, how we celebrate with it, how we heal with it, and how we gather around it. 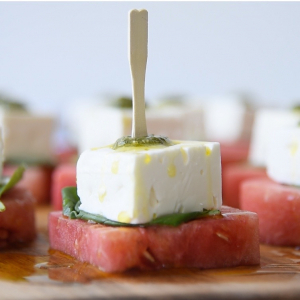 What our journey thus far has taught us, is that food is a powerful connector. 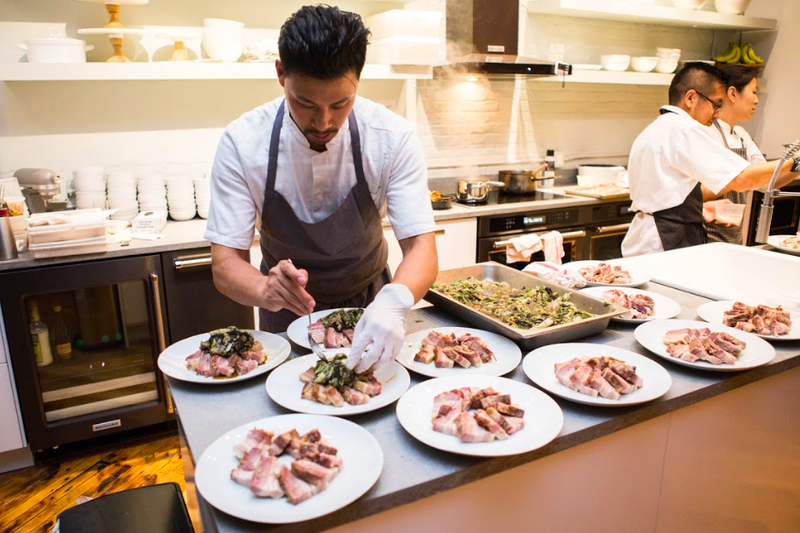 While we have continued to evolve, it is this philosophy of food as a connector, that weaves the fabric of the stories we share, and the content we continue to create. Our fourth year was a milestone year for us. We traversed the country numerous times for experiential activations in cities from coast to coast, crossed the Atlantic, opened a brick & mortar space in Brooklyn, launched FeedfeedTV, ran the Food Media Lounge at SXSW, created our first print publication, expanded our content and partnerships in the Lifestyle vertical, and spent countless hours around the table with our community, sharing stories, cooking together and celebrating together. Most importantly though, we have continued to evolve and innovate in the way we foster our social community, create and distribute original content, work with influencers and brands, and expand into experiential activations. 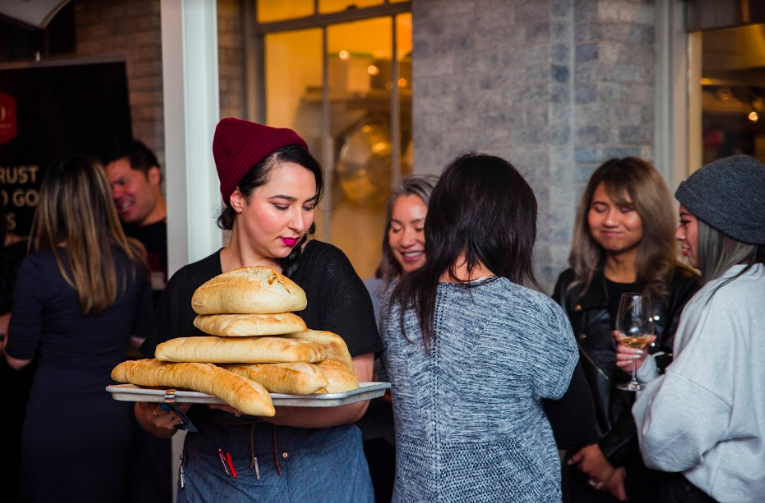 In fall of 2017, we opened the doors to FeedfeedBrooklyn - a 3,000 square foot test kitchen, studio, event & community space (sponsored by Room & Board and KitchenAid). 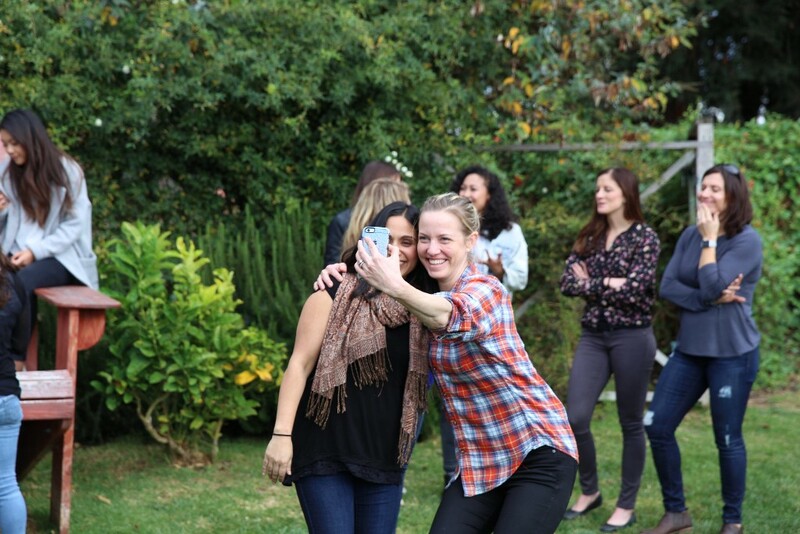 It is always an amazing experience to realize something IRL, particularly when your company operates primarily in the virtual or digital/social space. So, everything from the design process to hosting actual events has been an amazing next step for us in actually engaging our community and brands in a physical space for experiential activations. This has been a long time coming as our experiential offerings have developed in the past few years, with us now hosting events with our community and brand partners all over the world. Our hope is that this physical space continues to be a place where our community not only join us for events but also uses the space to create content, host book launches, and more - free of charge, all for the goal of continuing to strengthening bonds in real life, and continuing the growth of Feedfeed as a central element in the dynamic world of content creations. We’ve been beyond excited to receive such a warm welcome from both the community and brands that we’ve hosted in the space already. 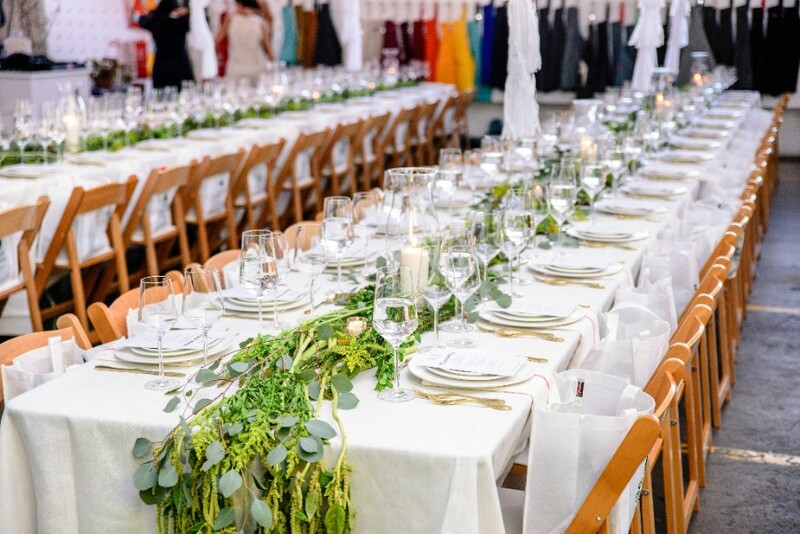 From intimate brunches, to large scale dinners, the space has been maximized for versatility! 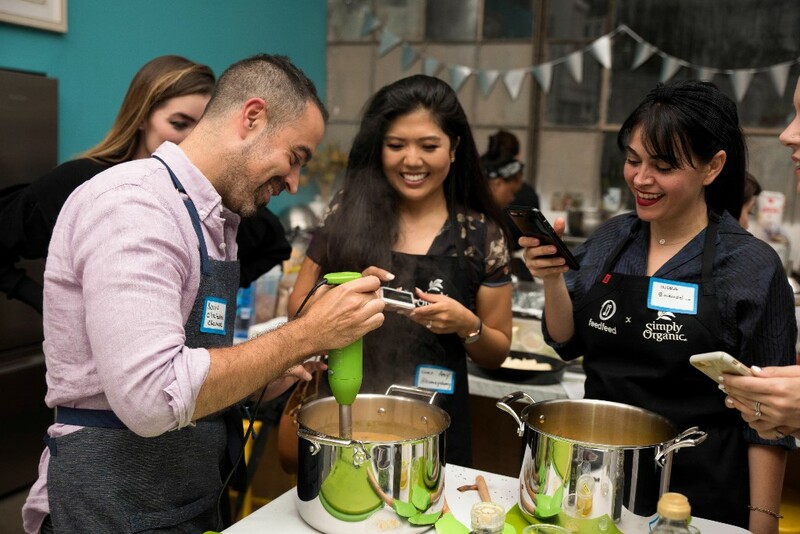 In addition to lots of events at FeedfeedBrooklyn and activations at conferences, including running the Food Media Lounge at SXSW and The Feedfeed Test Kitchen at Food Loves Tech, we flew more than 50k miles around the world in 2017 meeting with our community, learning from them and sharing in their stories. 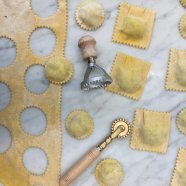 What we’ve come to love about our experiences is that each one of our destinations brought together a unique group of people, all united through food - from telling the story of Rana, a multi generation pasta company in Verona, to cooking with 50 of our friends in LA with Simply Organic, we’ve learned so much from the community that makes up #feedfeed. Top to bottom, clockwise: Chef Winston Chiu preparing the Food Loves Tech Food Waste Dinner at FeedfeedBrooklyn, La Brea Bakery Dinner in San Fransisco, A hike up Camel Back Mountain in Scottsdale, Arizona sponsored by the Luxury Collection, & our community enjoying themselves at Earthbound Farm's Farm Stand. All of this time, on the ground with our community, allows us to learn and grow from one another - and helps fuel our ability to create powerful original content and share our brand partners stories across our digital and social platforms. 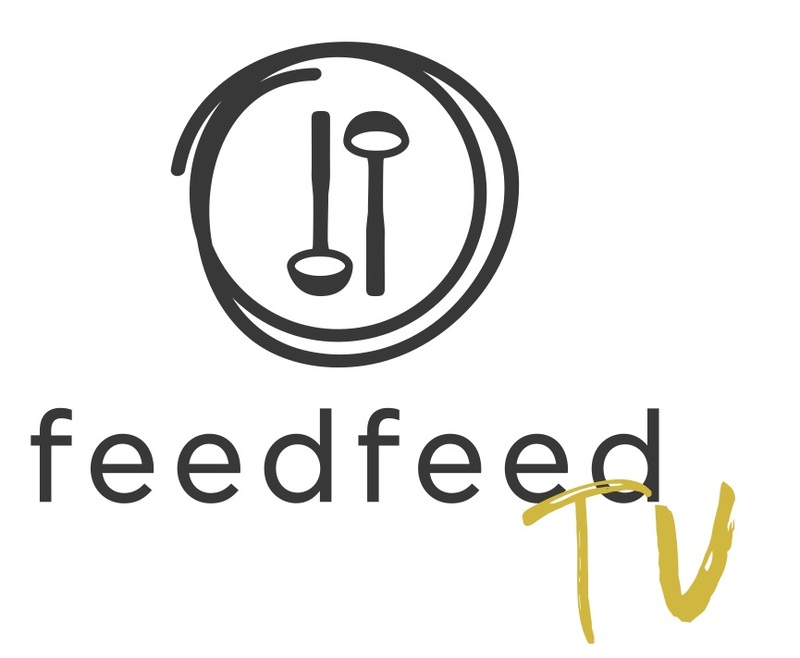 As Instagram has evolved, so have we, recently introducing FeedfeedTV, a powerful vehicle for allowing our community to share their food stories with a larger audience through structured programming. With nearly 35 regularly scheduled shows (new episodes each month), we’re leveraging Instagram stories in a way that drives viewership and engagement and allows us to create incredible original programming (some of which is sponsored by our brand partners) in a unique way that stands out and brings to life a product beyond an image or a sponsored article. 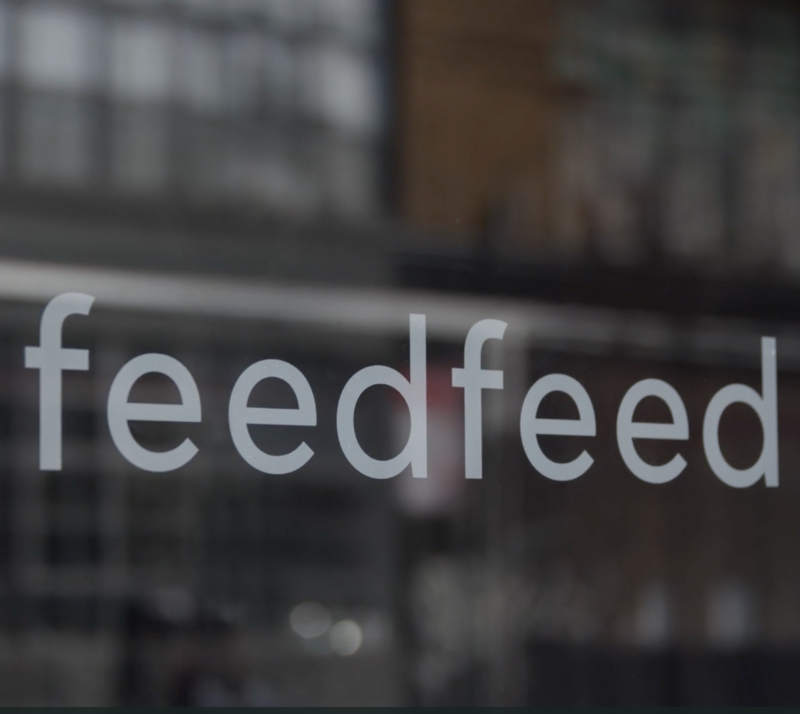 From Game Day Eats to supporting Advent Calendar Sales for a spirits partner, our FeedfeedTV programming is optimized to engage. We’ve leaned heavily on optimization and insights to drive our original content creation and through our proprietary process, we’ve created content throughout the year that has continued to inspire our community to come together around the brands we partner with and to tell your stories in a way that is compelling and authentic - and we’ve seen some pretty incredible results! 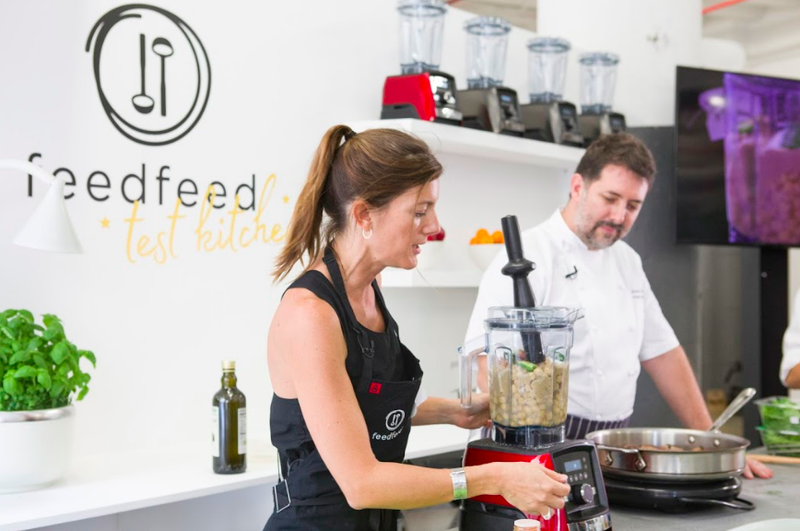 Our insights into trending ingredients allows us to create videos that organically hit 1MM views, images that generate more than 50k likes & recipes that speak to our larger audience around the globe. 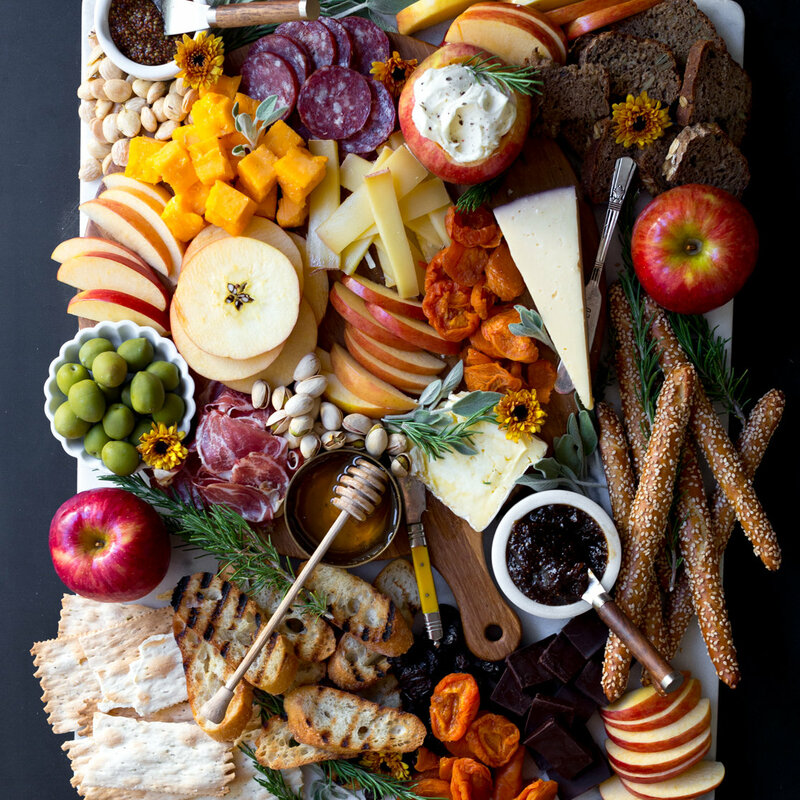 Our most liked post in 2017 was the above Cheese Board sponsored by Autumn Glory Apples! Our most viewed video in 2017 was the above Watermelon Bites sponsored by Blue Moose of Boulder. 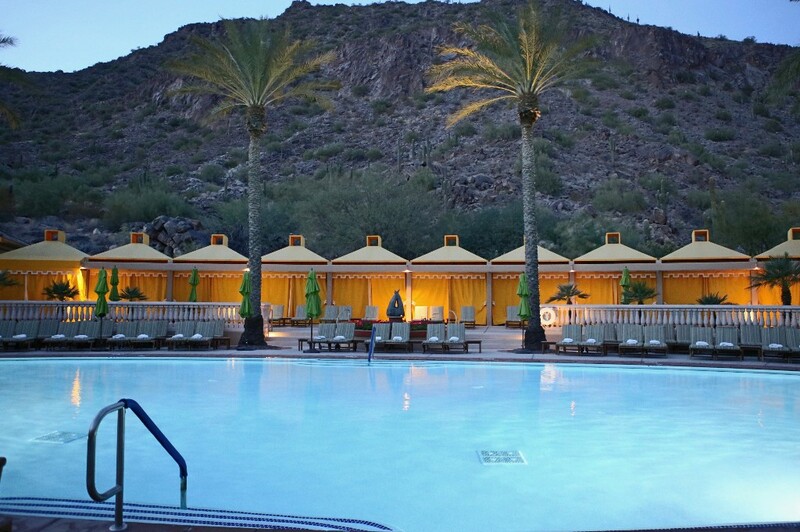 Our focus continues to be deeply rooted in leveraging our proprietary insights tools to create content that inspires. 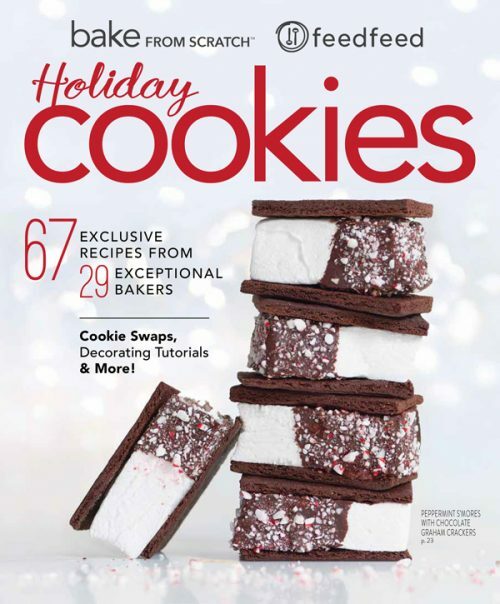 We used this approach in our collaboration with Bake From Scratch Magazine to identify national cookie trends and to help select the talented bakers in our community to feature in the magazine. This insights driven approach helped us create a powerful narrative all around Holiday Cookies and brought together a diverse group of content creators to share recipes that spoke to each of their individual passions and talents and offered readers a chance to experiment with new flavor combinations trending in the world of cookies! Please feel free to reach out to discuss ways in which we can partner with your brand in 2018 or if you'd like to review any of our recent case studies. Thank you for all that you have done to help us get to this place. We look forward to building more, together, in the coming year.